Ironically, I got so inspired, I wrote an additional chapter which then made this chapter 37 and not 36. Excerpt from my book Strategistics. Download ebook today by clicking here. Who you are will determine what you measure. Did I say measure? I feel in light of all that we have discussed that it is important to spend a brief few moments discussing measurements. One of the best lessons I learned when running several retail businesses was the time I was asked to write an article on conversion rate. After doing much research on our own conversion rate, I wrote my article on how to effectively look at conversion rate without getting overwhelmed. This article was stocked full of data supporting my theories. Seeking measurement for one’s efforts is critical. However, what I find is that though many understand it to be critical, they sadly don’t understand how to translate the measurements or even the first place to look for the measurements. What are your objectives for your message? How will you measure your effectiveness? Will you measure it via any of these? Financial transactions via donation, purchase, or gifts in kind? 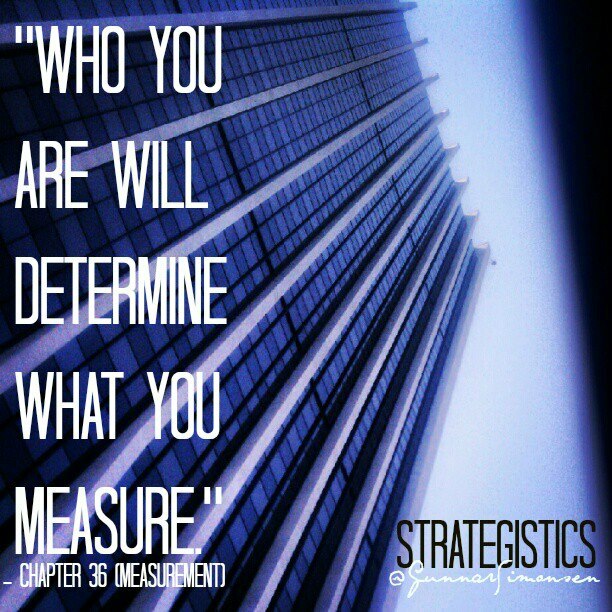 Of course, who you are will determine what you measure. For many , nowadays I see a combination of either all or two of these. In this case, let’s take a non-profit for example. As a non-profit with a cause to champion, in the end, don’t we truly want to see our cause go beyond something we call others to, and become a movement that others must now be a part of? How do we measure that? Of course, we need eyeballs to see the message, be inspired by the message, engage the message, and share the message. But, if there is work to do, we also need to support the message and the work that we are providing that will bring solutions to that which we are seeking to solve. I recently spent some time with a large non-profit organization that works within the United States as well as internationally. In speaking with them, what I heard was this: We understand the effectiveness of social media How do we translate it effectively in bottom line numbers? Reading between the lines, bottom line was code for how much it brought in financially for the cause. To be honest, it is a fair question and nothing to be intimidated by. If we plan to spend additional resources on new media efforts, we need to ask the question, is it worth it? Again, who you are will determine what you measure. In this case, we can share all the data we want, but what does it all mean and is it moving the ball forward with regards to our overall objectives? Continuing the discussion with this non-profit, we began to review the data we had available to us. In this case, we looked closely at our Google analytics for the official website not only for current data, but all data as far back as it showed as well. We also looked at industry benchmarks to how other non-profits were using social media for their cause. I believe industry benchmarks are crucial as to best give one something to line up against. Do you know your industry benchmarks for the medium you are seeking to use? Often times, a simple Google search will lead you to various surveys that have been completed within one’s industry. Secondly, in reviewing analytics for their own website, I was eager to look at the last three years of data. I do this because I wanted to establish benchmarks for their effectiveness. When running businesses, we would always look at the past three years when preparing our annual budget as to best establish benchmarks. This allowed us to best set our course to attainable goals based on historical data and not from mid air. This paid off two years after taking over a company once that previously had lost over $ 1,000,000 dollars in one year. Through effective benchmarking and goal setting, we were able to reverse that loss to over a $ 100,000 profit. In looking closely at the data for this non-profit organization , we were able to establish our own benchmarks. This allowed us to set reasonable goals as well as be able to navigate ourselves towards reaching those goals. Are you following me? What do your numbers look like? What if we maintained 12k visitors but improved conversion of donors to 2% at $ 200 per donor? That equals $ 48,000 by converting only 112 more people per year. At this point, it becomes all about architecting your infrastructure to reach these goals. How many campaigns are you running per year? Are they strategically designed and timed to help you meet your objectives? How will you know? What keeps you from knowing? To often we shoot from the hip until someone comes along with questions that cause you to both scramble and do a lot of Google searches . How can you adjust your overall strategy to help achieve your overall goals? Certainly, as we have discussed in this book, we know where we want to take people. But how will we know when we have arrived? Does one ever arrive? Have we established metrics along the path of our execution that will guide us on our way and help navigate us to that place we had sought from the beginning? How do others measure their effectiveness of use within the social media realm? Remember, who you are will determine what you measure. This is all encompassing. As I have said often times within the business world, if you don’t know your business, you will have no business. To properly set metrics for your message, cause, brand, or organization, one must know their “business.” This enables you to effectively set achievable goals that will lead to sustaining your “business” and therefore make life that much better for those you are seeking to provide solutions for. Let me say it again, measurement through the lens of who you are will determine what you measure. I believe it is important to take this dialogue a step further. Often times within the world of social media, managers are asked to justify budgetary line items that pay for social media management and advertisements. These justifications are made to those who have a bottom-line view of profit and loss. As you have seen here, there are basic ways one can draw direct correlations from social media activity to the bottom-line through the lens of dollars and cents. In having these types of discussions, often a breakdown will happen when the person overseeing social media and communication is unable to speak this business language because they lack experience . This is not a knock on them, but rather an opportunity. They get to learn the language of their superior who speaks only in this way because of their years of business world experience. After overseeing several retail companies for a man who earned seven Master degrees, one thing was for certain, I had better learn the language of the profit and loss statement if I ever wanted to see more resources. Though the P& L statement was built based on line items for things like payroll, building lease, cost of product , etc., there were many components of the businesses not seen. These directly impacted the bottom-line and overall health of the companies I oversaw in a major way. The list goes on and yes, I did say restrooms. I live in Oregon. In Oregon, one of the most visited tourists spots in the state is the Woodburn Outlet Mall. I once sat in on a marketing presentation there when they disclosed that in all of their surveys about the mall , the number one thing people commented on was the restrooms. And yes… they are immaculate restrooms at that. As this example shows, in the world of brick and mortar business there are so many unseen components not present on a profit and loss statement that definitely impact profit and loss. 1) What are your objectives for your message? 2) How will you measure your effectiveness? 3) Will you measure it via any of these?